SHADOWHUNTERS Photos: 3x09 "Familia Ante Omnia" and 3x10 "Erchomai"
Episode 3×09 “Familia Ante Omnia” — Clary faces down an old foe in an attempt to find answers about Lilith’s plan. Alec and Magnus turn to Lorenzo Rey for help, while Lilith finds a new ally. Luke must choose between his pack and his family, as Simon is forced to deal with his past. Guest starring Anna Hopkins, Chai Hansen and Javier Muñoz. Air Date: Tuesday, May 15 (8:00 – 9:00 p.m. EDT) on Freeform. Episode 3×10 “Erchomai” (Mid-Season Finale) — In the climactic mid-season finale, the team scrambles to find a way to put a stop to Lilith’s plan coming to fruition. But going up against their biggest opponent yet, their odds are not looking good. 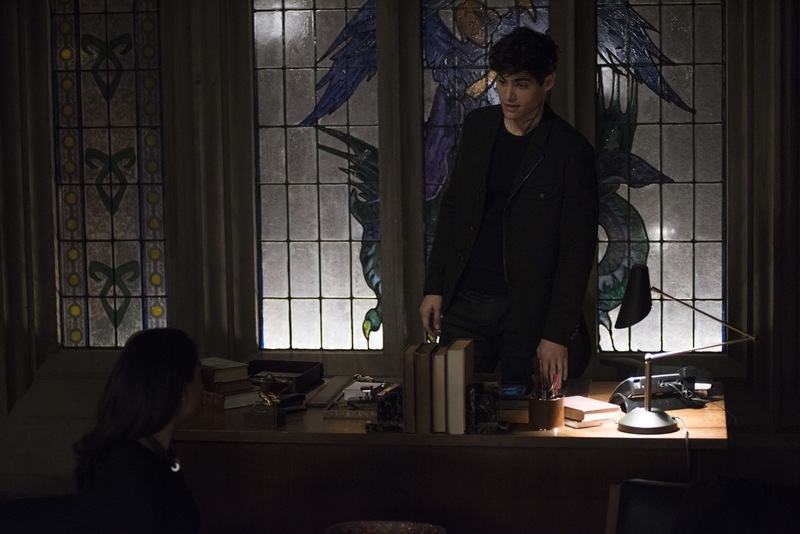 Meanwhile, Simon makes a heartbreaking choice with Isabelle’s help and Magnus reconnects with a powerful person from his past. Guest starring Anna Hopkins, Jack Yang, Alexandra Ordolis and Nicola Correia-Damude. Air Date: Tuesday, May 15 (9:00 – 10:00 p.m. EDT) on Freeform.